An introduction to Tiffany stained glass. 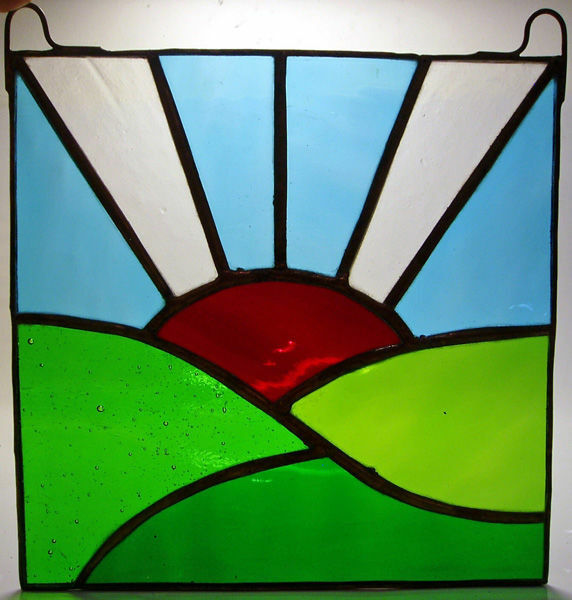 This is a one day Tiffany stained glass workshop based in Martin's studio at the learning centre at Abbeydale Industrial Hamlet in Sheffield. This workshop is for beginners as well as the more advanced student; the workshop is run with a maximum of ten students ensuring that each student receives individual attention. Each student has use of a workbench with all the tools and equipment they will need while taking part in the workshop. All patterns and materials such as glass and solder are supplied by Martin at no extra cost. You will have the opportunity to make a Tiffany stained glass window hanging. You will have the choice of a number of different patterns to choose from (see examples above), each window hanging measures 17cm x 17cm or 20cm x 12cm approximately. •	How to apply copper foil tape to glass. •	Soldering (tacking / tinning and beading). note that the learning centre cafe is closed on Friday and Saturday. Teas and coffees are available through the day and a selection of cakes will be served at lunchtime.